This Friday afternoon I have been chilled to the bone not only by New York City’s brutal cold snap, but by three questions posed to readers of Us Weekly in the span of five short hours. 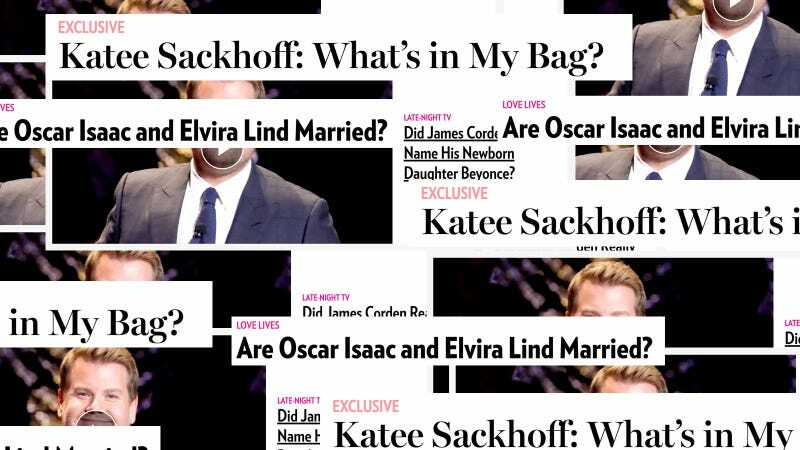 The American Media-owned publication, known for its detailed lists of celebrity minutia and exclusive reports on the ubiquity of poop, has suddenly become a fan of using questions in their headlines. Because I do not wish the anxiety I’ve felt as a result of their barrage of questions on any of you, I’m going to spoil the answers here and now. While Isaac has not said the words, “I am married to Elvira Lind,” he referred to the director as his wife in a recent BuzzFeed video. The couple was also spotted wearing gold bands on their left ring fingers while on the Star Wars red carpet.